Vacations have never been easier than with HugaMonkey. Keep baby cuddled next to you while keeping hands free as you take a morning stroll on the beach, an afternoo n hike in the mountains, go sight-seeing and shopping for souvenirs, then prepare a gourmet meal from the local market in your vacation rental - all the while keeping your precious one next to you, feeling loved and secure. 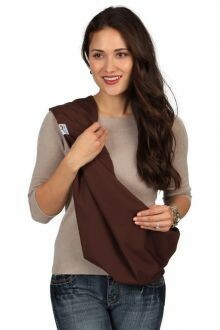 At HugaMonkey our goal is to provide every mommy and daddy in the world with a fashionable and affordable high quality baby sling.Pack up the car and pack up baby in this basic baby sling, a best-selling, go anywhere, do anything perfect choice for baby wear. Cradle your little one with ease throughout your busy day together. HugaMonkey (http://www.hugamonkey.com) baby slings are the fun, funky, and fashionable way to wrap and wear your baby with swingin' ease! The simple original design and unique fabric choices make it convenient and comfortable to carry your child anyplace you need to go. Simplicity holds great power. 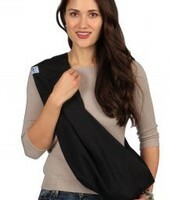 Classic black—so versatile, so essential, you’ll wonder how you ever did without this black baby sling for so long. This functional, elegant carrier looks great, wherever you and your little one may go. Its timeless color and understated style enhance every wardrobe. Baby will be content to snuggle inside the natural fiber of this breathable material. Your comfort is ensured with its forgiving feel and durable design. Calling all hot mamas! This rich stone-colored sling is a necessity for your chic wardrobe. Its neutral color goes with practically anything (and we mean anything!) hanging in your closet, and the texture is to die for. 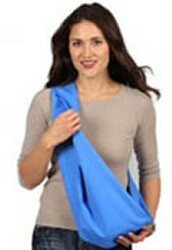 Its durable fiber does its best to fend off those pesky wrinkles, and its color works just as hard to avoid fading. If you’re worried about maintaining that sleek, natural look you’re going for, rest assured! As with all of our baby pouches, this has a strong-yet-streamlined designed with crisp lines to minimize bulk and maximize fashion. 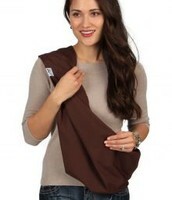 One glance at this cocoa brown baby sling, and you’ll be convinced it tastes as rich and chocolaty as it looks! While it may not taste as delicious as a Cadbury egg, it feels as smooth to the touch as chocolate does on your tongue. The color is sure to stay just as luscious for years to come, so you can count on it for all your babies and all your outfits. Part of what makes our cotton fiber look and feel so great is its ability to keep moisture and wrinkles at bay. Its durable design enhances comfort and security for both you and your little monkey—without all the fuss of rings, tails, and other unnecessary bulk. Travel by plane or train is a breeze when baby rides along in a HugaMonkey baby sling, leaving your hands free to handle your luggage, grab a pre-boarding snack, and keep your ticket handy. This good-looking and affordable baby wear will be the best bargain of your entire vacation!